After several decades abroad, Gardner returned to England in the 1930s, and settled near the New Forest. It was here that he discovered European occultism and beliefs, and - according to his biography, claimed that he was initiated into the New Forest coven. Gardner believed that the witchcraft being practiced by this group was a holdover from an early, pre-Christian witch cult, much like the ones described in the writings of Margaret Murray. In 1964, on his way back from a trip to Lebanon, Gardner suffered a fatal heart attack at breakfast on the ship on which he traveled. At the next port of call, in Tunisia, his body was removed from the ship and buried. Legend has it that only the ship's captain was in attendance. In 2007, he was re-interred in a different cemetery, where a plaque on his headstone reads, "Father of Modern Wicca. Beloved of the Great Goddess." Gerald Gardner launched Wicca shortly after the end of World War II, and went public with his coven following the repeal of England’s Witchcraft Laws in the early 1950s. There is a good deal of debate within the Wiccan community about whether the Gardnerian path is the only “true” Wiccan tradition, but the point remains that it was certainly the first. Gardnerian covens require initiation, and work on a degree system. Much of their information is initiatory and oathbound, which means it can never be shared with those outside the coven. One of the largest problems with the Ardanes is that there is no concrete evidence of their existence prior to Gardner’s revealing them in 1957. Valiente, and several other coven members, questioned whether or not he had written them himself – after all, much of what is included in the Ardanes appears in Gardner’s book, Witchcraft Today, as well as some of his other writings. Shelley Rabinovitch, author of The Encyclopedia of Modern Witchcraft and Neo-Paganism, says, "After a coven meeting in late 1953, [Valiente] asked him about the Book of Shadows and some of its text. He had told the coven that the material was ancient text passed down to him, but Doreen had identified passages that were blatantly copied from the ritual magic of Aleister Crowley." Cassie Beyer of Wicca: For the Rest of Us says, "The problem is that no one's sure if the New Forest Coven even existed or, if it did, how old or organized it was. Even Gardner confessed what they taught was fragmentary... It should also be noted that while the Old Laws speaks only of the punishment of burning for witches, England mostly hanged their witches. Scotland, however, did burn them." There are 161 Ardanes in Gardner's original work, and that's a LOT of rules to be followed. Some of the Ardanes read as fragmentary sentences, or as continuations of the line before it. Many of them do not apply in today's society. For instance, #35 reads, "And if any break these laws, even under torture, the curse of the goddess shall be upon them, so they may never be reborn on earth and may remain where they belong, in the hell of the Christians." Many Pagans today would argue that it makes no sense at all to use the threat of the Christian hell as punishment for violating a mandate. However, there are also a number of guidelines that can be helpful and practical advice, such as the suggestion to keep a book of herbal remedies, a recommendation that if there is a dispute within the group it should be fairly evaluated by the High Priestess, and a guideline on keeping one's Book of Shadows in safe possession at all times. 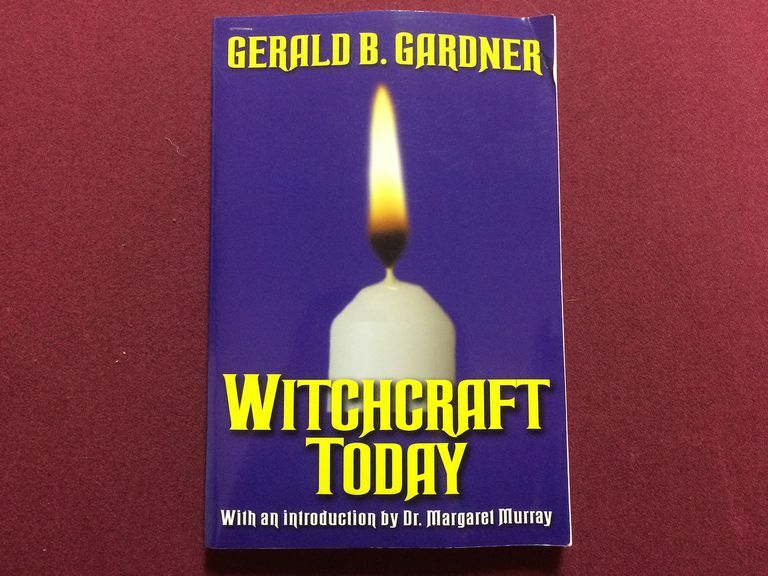 One of Gardner's best known works, and the one that truly brought modern witchcraft into the public eye was his work Witchcraft Today, originally published in 1954, which has been reprinted several times. Because Gardnerian Wicca is a mystery tradition, its members do not generally advertise or actively recruit new members. In addition, public information about their specific practices and rituals is very difficult to find. What is the Alexandrian Tradition of Wicca? Author Ray Buckland and the Importance of "Big Blue"
Can You Be a Christian Wiccan?